WhatsApp messenger service would globally limit the number of times a user can forward a message to five, in a bid to fight “misinformation and rumors”, Reuters said on Monday. “We’re imposing a limit of five messages all over the world as of today,” Vice President for policy and communications at WhatsApp, Victoria Grand said in Jakarta. 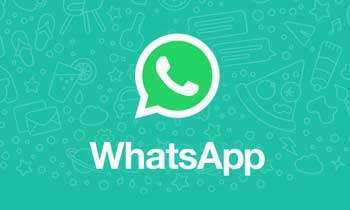 WhatsApp will roll out an update to activate the new forward limit, starting Monday, WhatsApp’s head of communications Carl Woog has told Reuters. Next will charge a fee. This is definigjtly a good thing when it comes to gossip and rumors! W'A will definitely lose it's 'DARLING OF THE SOCIAL MEDIA MESSAGING' status.On the other hand, who cares ? There're dozens of others ! Good thing at least it will take few more days to reach the target like they did in Kandy incident. Why cant the Lankan tech people come up with a messaging platform like this.